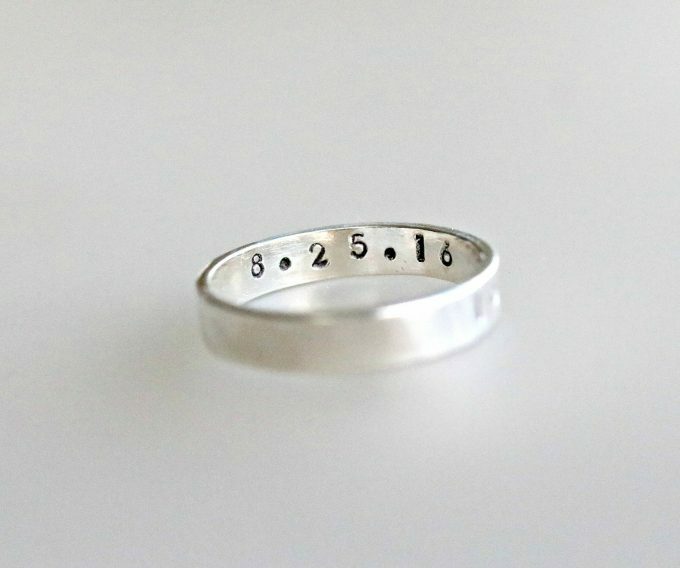 Looking for a wedding ring with engraving inside? We’re answering the latest question about an inside engraved ring from bride-to-be, Jessica. Find out more below! Great question, Jessica! As mentioned, I also wanted something similar, right down to the simple band. 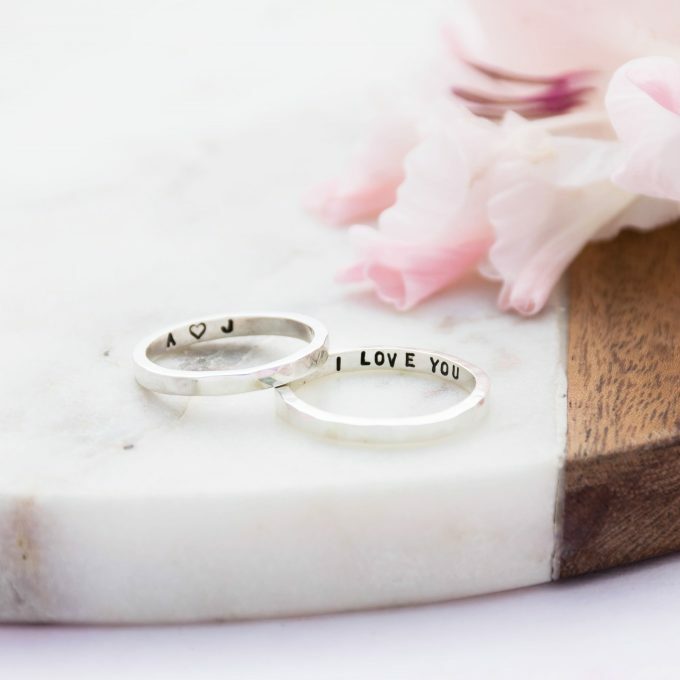 While the ring I bought specifically is no longer available (sad face), I was able to find an inside engraved ring you’ll love from Etsy. I’ve found a few to give you some suggestions, in case you’re looking for a different sort of style than what I am picturing. 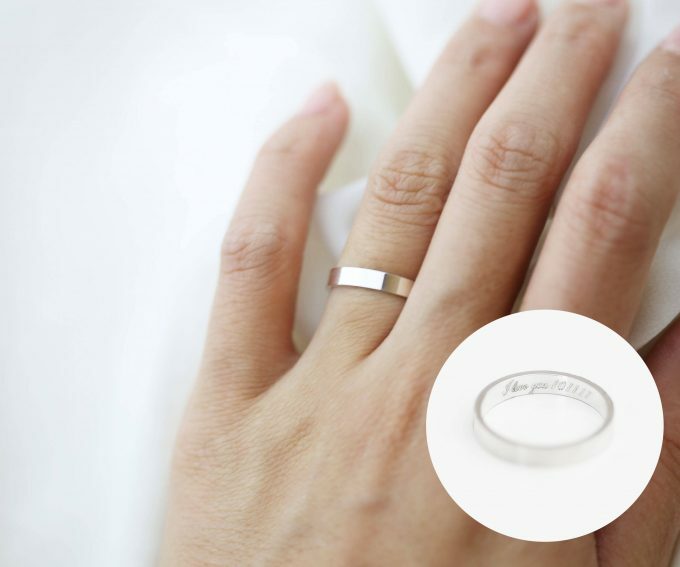 This is a beautifully simple, hammered-finish wedding ring with engraving inside UNDER $50. By Little Homebird Studio. This 4mm wide sterling silver band is another option, spotted at Meltemsem. 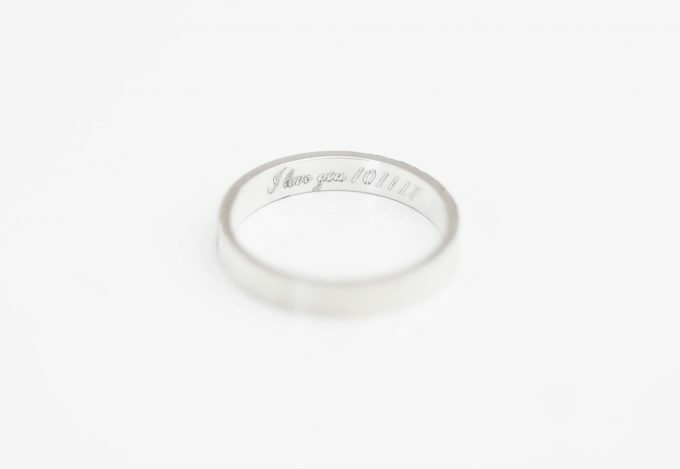 A beautiful 3mm sterling silver ring with your choice of engraving. By E and E Project. 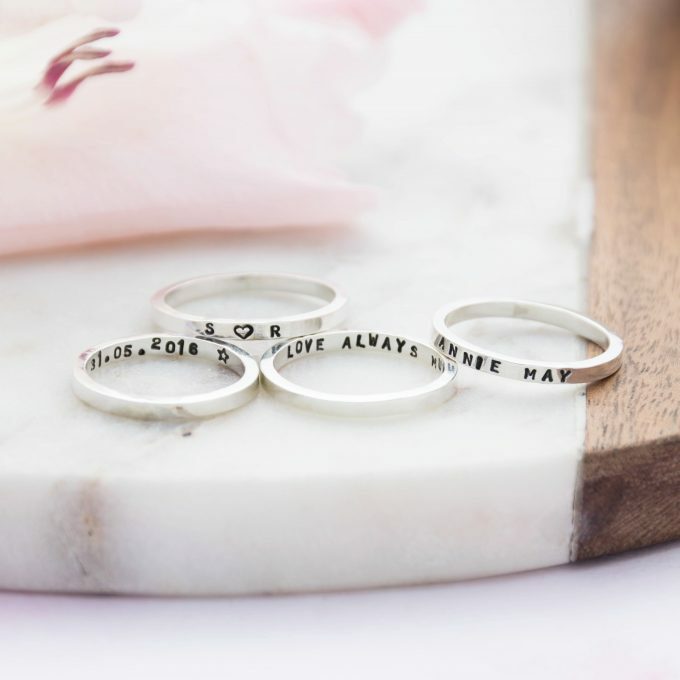 I hope these three suggestions help on your question for the perfect wedding ring. Which one is your favorite? Thanks to Jessica for writing with her question! You can ask us anything here. We’re here to help!